Earlier this year London street artist Ronzo was one of 20 artists invited to take part in Woodstreet Walls Paint Your London event (Previously on Hookedblog), a month long event which saw them giving their E17 neighbourhood a fresh lick of paint across a number of locations. Well known for his character design, Ronzo's monster characters and urban pigeon sculptures (Previously on Hookedblog) can still be seen hanging around Shoreditch. 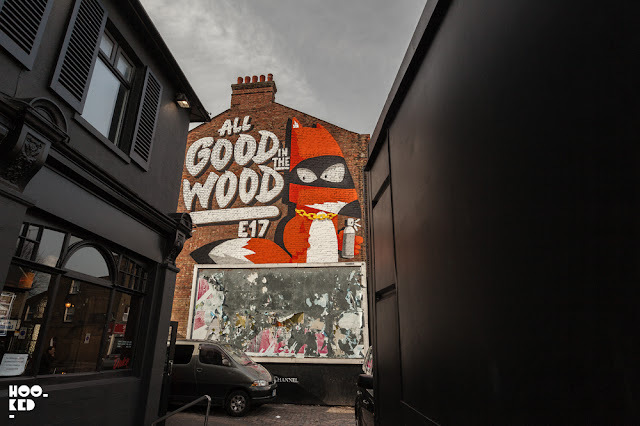 For his Walthamstow mural he chose to paint this fun masked urban fox character wielding a spray can, perhaps taking inspiration from the urban foxes that are now common sight here in London. 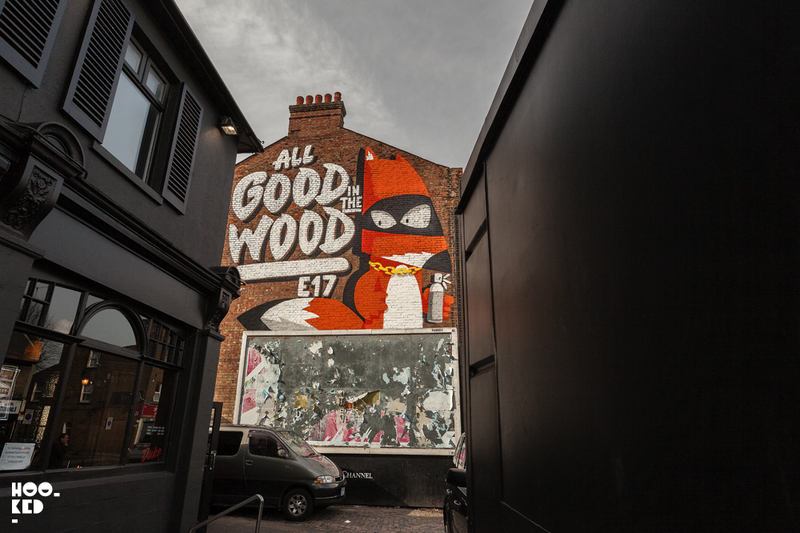 The All Good In The Wood mural pictured above is located just a few minutes walk from the Wood Street train station right next to The Duke pub. This Urban Fox character has proven popular and Ronzo has decided to release the image as a limited hand screen printed edition. It will be available from Saturday 23rd July, 11:00am at The Art Conference (Previously on Hookedblog) which is taking place at Ugly Duck on Tanner Street and the edition will also be available online from WoodStreet Walls Bigcartel Shop. The Ronzo screen printed edition based on his mural. 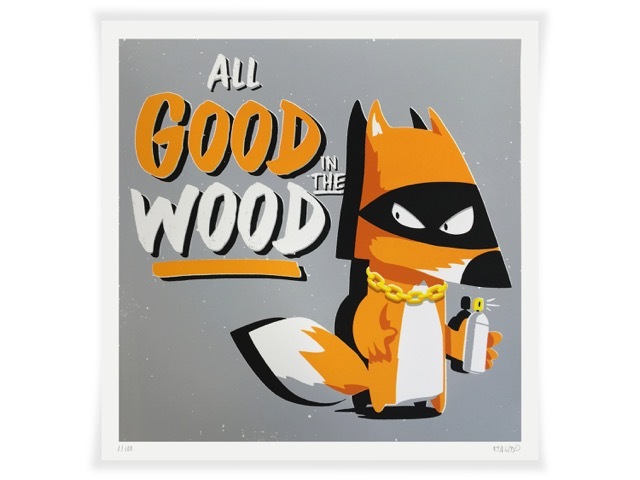 "All Good in the Wood" 5 colour hand pulled Screenprint by RONZO on 300gsm Fabriano paper Signed, numbered and embossed Edition of 100. Launching at TAC#01 The Art Conference, Saturday 23rd July, 11:00am and shortly after online here. Location: Ugly Duck, 47/49 Tanner Street, SE1 3PL, London Bridge, UK. Was a great piece from he artist you should check out our other post on Pejac's other London installation if you have not done already.